Kitchens are often called the heart of the home! So we have put together some of our favourite Kitchen signs and wall plaques that will make a homely addition to your kitchen or dining room. If your kitchen is one a shabby chic, rustic, industrial or traditionally vintage then we quite possibly have the perfect wall art decor to suit your interior. 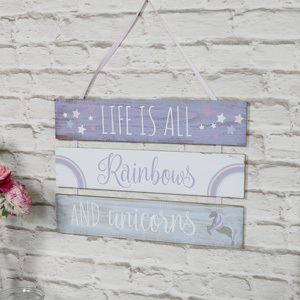 From funny quotes to meaningful and inspirational ones we have the most gorgeous wall mounted signs. Don't forget that wall signs and plaques make great gifts especially for house warming presents! Give them a present that will become a conversation starter.